One of London’s most consistently popular attractions, Madame Tussauds has the finest collection of wax models of contemporary and historical figures in the world. Painstakingly created, each model takes up to three months to prepare, and, in the case of models of living subjects, must be indistinguishable from the actual person before being approved for display. 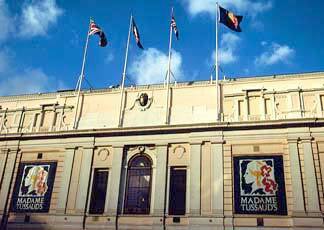 Madame Tussaud’s wax museum has grown to become a major London tourist attraction. It has expanded with branches in Amsterdam, Berlin, Las Vegas, New York City, Hong Kong, Shanghai and Washington DC, with an additional location scheduled to open in Hollywood in 2009. Wax figures at Tussauds include historical and royal figures, film stars, sports stars and famous murderers. Known as “Madame Tussauds” museums, they are owned by a leisure company called Merlin Entertainments, following the acquisition of The Tussauds Group in May 2007. The London Aquarium, located in County Hall, is one of Europe’s newest, largest and most magnificent displays of global aquatic life, featuring thousands of living specimens from the world’s rivers, oceans and seas; all in over two million litres of water! 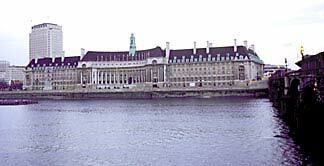 Dedicated by George V and Queen Mary in 1922, County Hall is located on the banks of the Thames at the east end of Westminster Bridge and served as the headquarters of the London County Council. The building was sold in 1986 and now serves as a center for recreation and leisure activities. Please could you let me know if you have ever had a wax works exibit of Mr James Lamont. 30/7/58 as a sports man or karate champion.